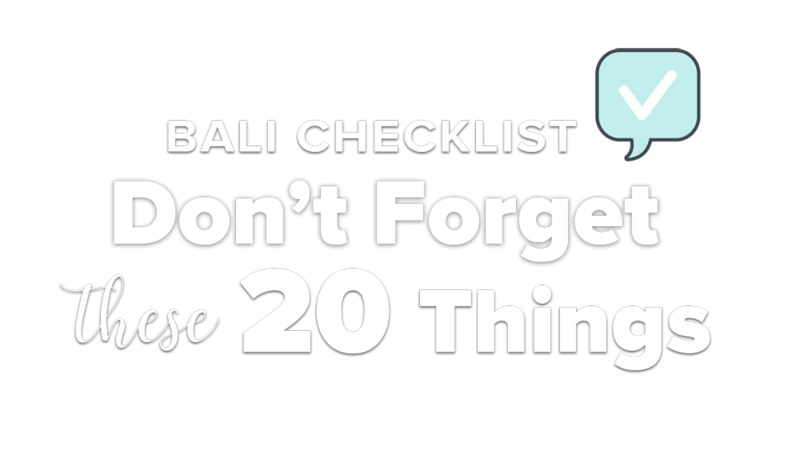 Are you planning a trip to Bali and wondering what to do in Ubud? Well, we have got you sorted. This article includes the essentials of what dreamy Ubud can offer: from timeless spirituality to ancient and modern art; from buzzing colourful markets to the healing silence of the tropical jungle; from chasing waterfalls to exploring body and soul through yoga and healing. Sounds like an otherworldly place? That’s right though, Ubud is pretty magical. Located on Bali’s central highlands and perched in between emerald rice fields and wild nature, Ubud is the spiritual and cultural centre of the island. What we called ‘art,’ here has been considered integrant part of daily life since ancient times. Stone and wood carving, painting, weaving, playing music and dancing were simply what people did when not working in the fields or fishing. Art and spiritual practices are intertwined in Balinese Hindu traditions and Ubud is where you have the chance to see it with your eyes. In the temples, in the villages, in the markets and in Mother Nature herself. Ubud centre might look a bit overwhelming at first sight and it can be hard to decide what to do in Ubud when you first arrive. Tourists here, traffic there, something that you didn’t expect, right? Sometimes though looks are deceiving and chaos hides some special hidden gems. If you are up early - yeah, the jetlag - and wondering what to do in Ubud, you must pop by the Ubud Traditional Market, in Jalan Raya Ubud. The market ‘for tourists’ is open from 8am to 5pm, but if you want the authentic Bali experience, go there before 8am! Locals will be there buying food, meat and veggies, be prepared for a blast of smells, colours and noise! Opposite the market, there is the Puri Saren Ubud Palace. “Puri”, means “royal palaces” in Balinese, and Puri Saren was indeed a house for nobles, while today it is a cultural centre for Balinese arts, dance and literature. Close to the palace, you’ll find the Museum Puri Lukisan. Pop in to discover the finest samples of Balinese art and its history: the modern Balinese art movement started here in Ubud, when local artists first began to abandon purely religious themes for scenes of everyday life. Also on Jalan Raya Ubud (Ubud main road), 5 min walk from the museum, there is the Saraswati Temple where, on Tuesdays and Thursdays at 7:30pm, you can assist to the powerful Balinese kecak dance performance, practice at the very core of Balinese tradition. A blend between Hinduism and animist practice, Balinese religion shows itself in ecstatic heastetical forms: the music, the gongs, the costumes, the eyes, the colours, the hands, the chants….you’ll be mesmerised! 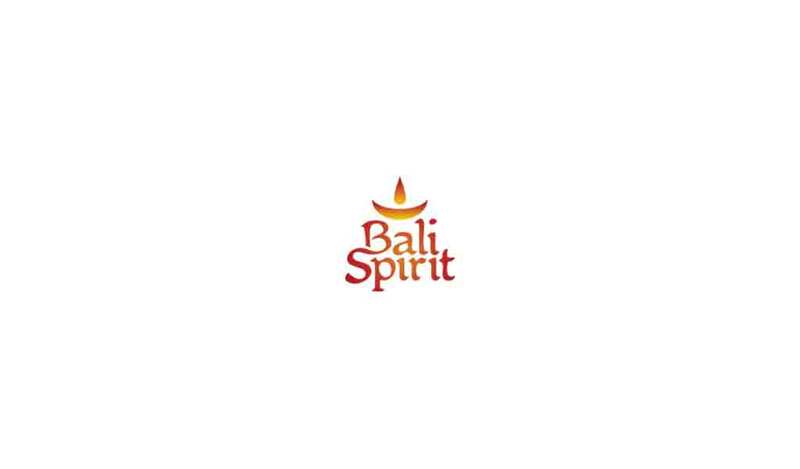 In Bali, nature, culture and spirituality are woven together. If you feel like a break from central Ubud, get a driver or rent a scooter, head northeast and visit those two fascinating temples. Gunung Kawi Temple or “Rocky Temple”, in Tampaksiring is one of Bali’s oldest and largest monuments: 10 shrines, carved in the rock and 8m high will welcome you in a awe-inspiring atmosphere. Tirta Empul Temple, built around the sacred spring at Tampaksiring, is one of the most sacred and famous temples on the island, worshipped for thousand of years. According to the tradition, when God Indra was poisoned by Mayadanawa, he pierced the Earth to create a fountain of immortality and revive them. This is how spring were born and they are now believed to have curative and healing properties. It’s possible to do the water purification ritual in two bathing places, open from 9am to 5pm. If you want to do the ritual, make sure to bring a ‘sarong’ and a t-shirt to change afterwards. Also, bring an open mind and good intentions: you’ll be enchanted. Your Ubud itinerary: begin with outdoor activities in beautiful nature. While still in Ubud centre, you can have a taste of what Bali lushious nature can offer. Head to the northwest part of town and have a walk on the Campuhan Ridge. Tjampuhan, the old spelling of Campuhan, means “place where two rivers meet.” And where two rivers meet magic happens: a walk through the jungle and then on the ridge that will keep you mesmerised all the way through. Top tip: go early morning or at sunset to make the most of the golden hour light! For those of you craving for adventures, Sepeda Bike Tours is the perfect day tour: downhill cycling off the beaten path guided by two Balinese twins, Wayan and Ketut Kambar. The journey starts off around Mt Batur volcano, then it will continue through world heritage rice terraces and wood carving villages. After that: the ride through the jungle, farms, bamboo forests and waterfalls to then stop at Wayan and Ketut village, Klungkung, for a fresh home-cooked Balinese lunch (vegetarian options available). And where better to end such dreamy day than on a beautiful black sand beach? Must go! For more information write to sepedabali@gmail.com or call 08123 6783 259. What else to do in Ubud for nature lovers? Well, if you love chasing waterfalls, check Tegenungan, Kanto Lampo and Dusun Kuning. Go there for a swim in the refreshing water, best thing to do on a sunny hot day! If you are more into hiking and keen to wake up in the middle of the night, you must do the sunrise hike of Mount Batur Volcano: 2 hours up a steep path, but so worth it (if the weather is nice…!). What to do in Ubud? Healing and yoga practice of course! 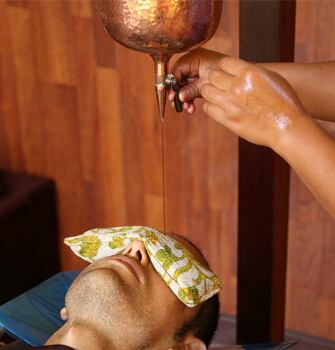 Ubud is widely known for being one of the most reputable centres for yoga and holistic healing, attracting yogis and yoginis from all over the world. 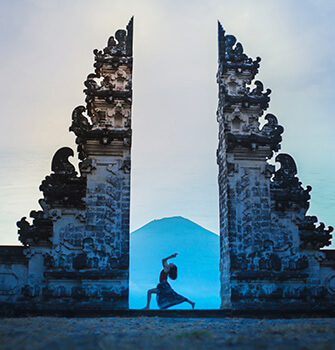 Lush nature and deep spirituality, practicing yoga in Ubud will enrich your time spent in Bali. Your spiritual journey won’t be limited to the hours on your mat. As soon as you’ll step out of class, a wave of spirituality will beautifully hit you. Where to practice yoga in Ubud? 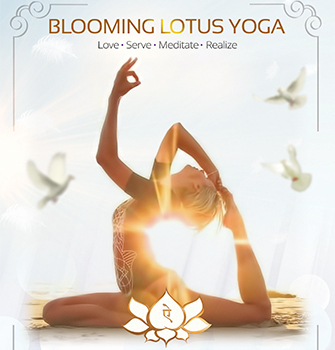 Another option is Radiantly Alive, home for a yoga community made of international and local experts, sharing their passion in over 60 different yoga and movement classes per week, workshops, yoga teacher trainings, together with healing therapies and detox programs. The studio has a multicultural family vibe, where everyone is welcomed and loved. You’ll feel supported and inspired in whichever stage of your yoga journey you are at. Last, but not at all least, The Yoga Barn. 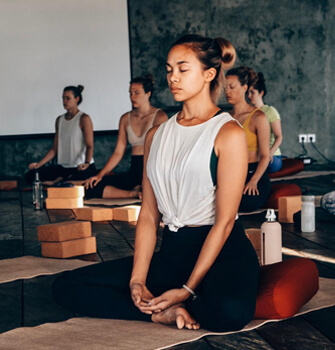 Calling the barn a yoga studio is quite reductive, The Yoga Barn is a well-rounded healing, wellness and community ambience that you must experience when in Ubud. With 7 yoga studios surrounded by a green and luscious area, The Yoga Barn offers over 100 yoga, meditation and dance classes per week. 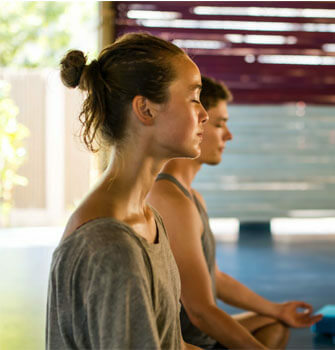 You can try specific treatments for all areas of healing and wellbeing, such as colonic hydrotherapy, craniosacral, reiki and ayurvedic sessions, or take part in a group detox retreat with The Yoga Barn's renowned cleanse & detox department with group or individual cleanse and detox programs taking place every month. Sit and chill at the Garden Kafe and Juice Bar and enjoy a rich selection of vegan, raw and ayurvedic food and drinks: mouthwatering and healthy all in one go! This gem in the heart of the island also has a dreamy guesthouse and a budget accomodation, the Nest: splendid place to stay to fully enjoy your journey. There’s more: NGO supported social events, astrology sessions, acro yoga jams, ecstatic dance, kirtan concerts, monday movies...all at the Barn! I guess you’ll never want to leave. Still wondering what to do in Ubud? You have plenty of choices now, for all tastes and needs. That is why Ubud is great. It might not have a beach, but nowhere more than here you have the chance to truly experience the authentic soul of the Island of Gods. People fall in love with Ubud for the variety of activities, the lush nature, the yoga, healing and food scene, and, most of all, for the timeless spiritual culture that is present in everything: from the daily life simple gestures, to the outstanding piece of arts and dance performances. You’ll fall in love too. Promise.